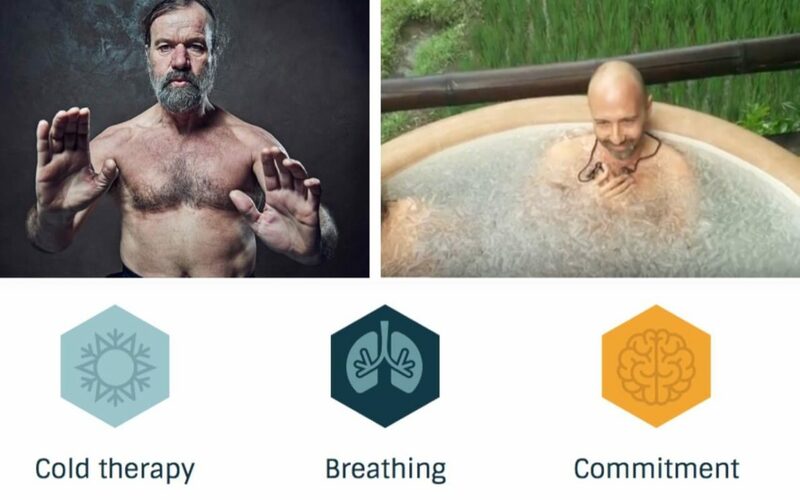 Have you ever heard about the « WIM HOF METHOD » (https://www.youtube.com/watch?v=VaMjhwFE1Zw)? We were very pleasantly surprised when, last week-ned, our good friend Alex, founder of BookGreener, offered to our guests a very interesting workshop about this method and the way to improve our breathing with a lot of positive consequences on our bodies (https://www.youtube.com/watch?v=_BlKONskhK0). All participants were absolutely astonished by the outcome of the workshop: a really good feeling, most of them being able to double or even triple their breath capacity after only 30 mn exercising, up to 4’30” for one of them. But this « Better Breathing » step is just the beginning of a long and exciting story. Next step of the method consists in cold exposure by plunging your body into a cold bath, with even better positive effects on your body. We believe that this method will perfectly complement our wellness activities in our Spa. Why don’t you send your opinion about that by reacting to this blog? In any case, we will keep you posted! Cheers! I discovered WHM a year ago with Alex actually, since then I’m practicing as a daily routine. I’ve even set up an ice bath facility in my garage by hijacking a chest freezer so that I can ice bath every other day. I’m astonished by what is it producing in the short term at every session but on a more long-term level while practicing regularly. Benefits being to learn to overcome fears or sensation of unease and not only with cold but somehow with so many day to day situations. The list is long and fastidious, but to answer your question yes I think it is clearly a gift you are doing to your guest to offer them an experience with this method and to realize that their inner resources are immense and not that far to being available at will.